Top » Luggages, Schoolbags, Leather Shop » Bags,Handbags, Shoulder bags	 SPECIALS WHAT'S NEW? 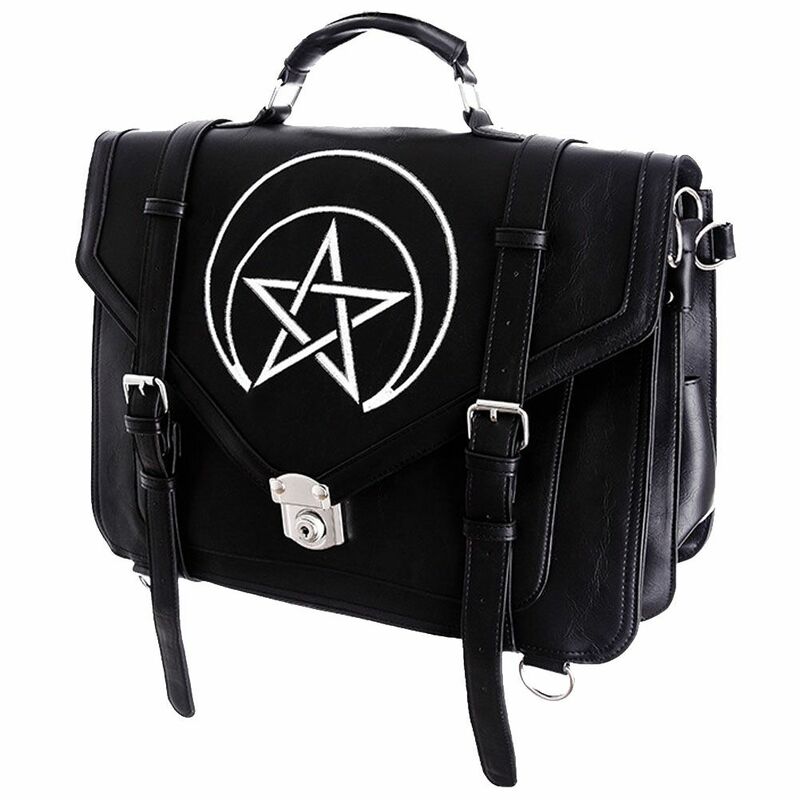 Satchel made of sturdy faux-leather. Flap is decorated with moon embroidery surrounded by alchemical symbols. 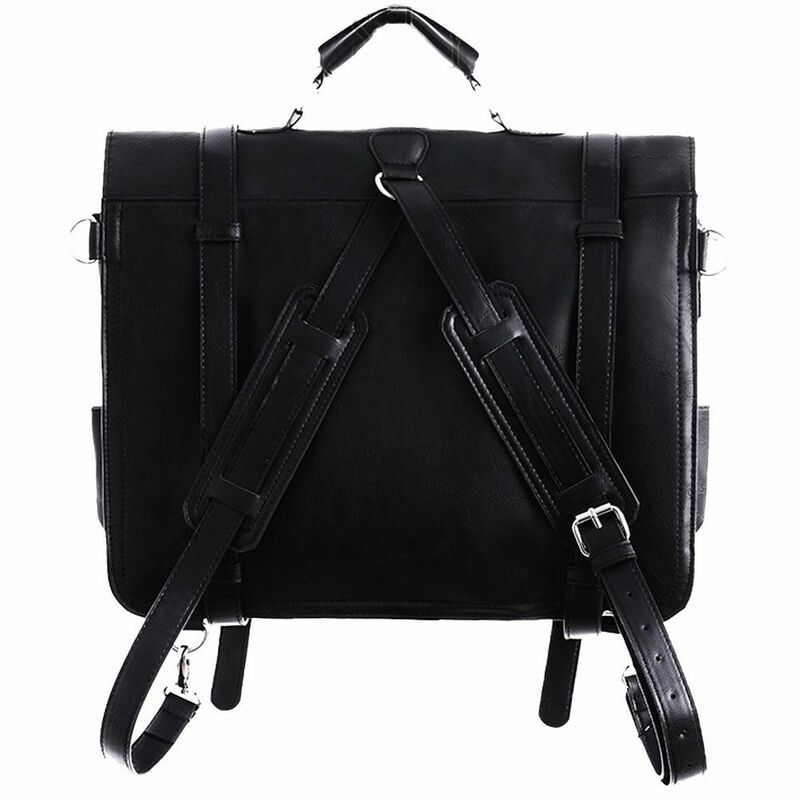 Briefcase is opened with magnet buttons hidden under the buckle straps. In the middle there is also anitque lock. To open the bag drag down the lock element. Inside bag is divided in half, so it's easy to segregate your items. There are also two big open pockets, and one large zippered compartment. which allows you to wear it as a bag or a backpack !